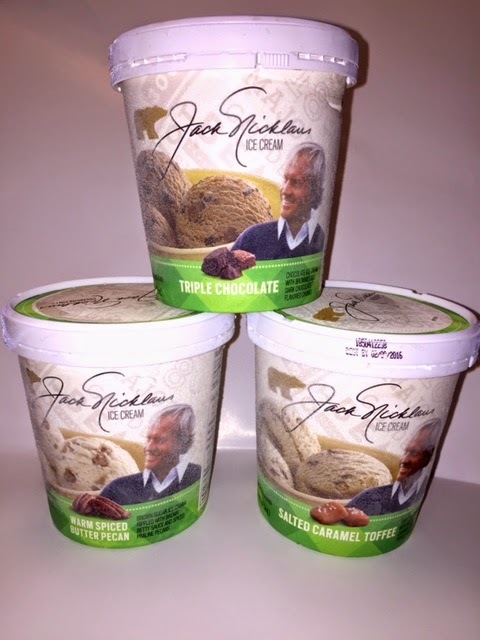 Jack Nicklaus just unveiled a new ice cream line that will be available in Florida grocery stores this month for just $1.99. I was lucky enough to be sent a few samples to try out. 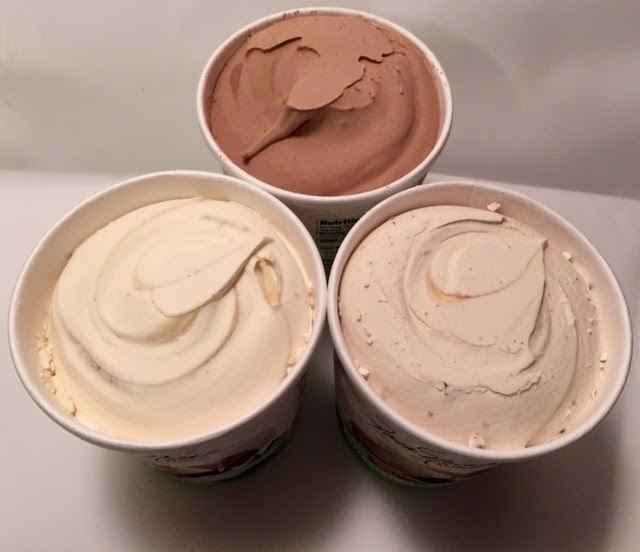 I decided on Salted Caramel Toffee, Warm Spiced Butter Pecan, and Triple Chocolate. Brown sugar ice cream, there is no way that can be bad! I liked the flavor profile and the strong flavor of this one. 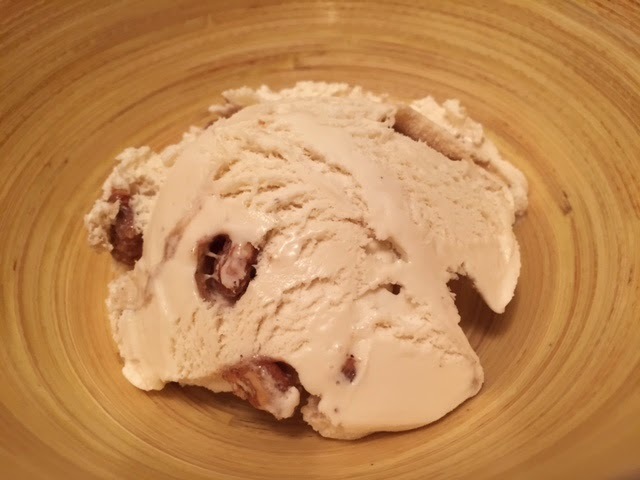 The pecans have a nice taste and they compliment the ice cream flavor nicely. I really liked the flavor combinations in this one. It's sweet and savory at the same time! 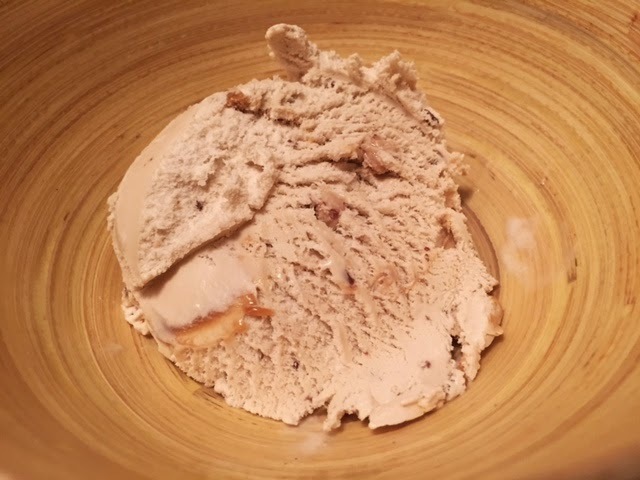 The toffee pieces gave the ice cream a nice little crunch and the flavor was very pleasant, not too overpowering. This one was my favorite. I am always partial to chocolate ice cream, so I figured it would be. I am also very picky about my chocolate and I can say that this one passes! I loved the brownie and chocolate add ins, and the overall flavor was great! The ice cream is very silky and smooth. Once it was taken out of the fridge it was easy to scoop out, not like some ice creams that you have to stick in the microwave! If you are tired of the same old thing, give them a shot! They have some interesting flavors (listed below) so everyone should be able to find one they will like. For more information on the company, keep on reading! The Golden Bear has teamed up with Schwan’s Global Supply Chain, Inc.
NORTH PALM BEACH, Fla.— Fans and competitors of Jack Nicklaus knew he had very few weaknesses in his legendary, record-setting golf career. There is, however, one weakness he confesses to off the course—ice cream—and now he’s giving into it and sharing it with the public. The Nicklaus Companies is dedicated to promoting excellence in the game of golf, preserving its great traditions and growing the game. For nearly 50 years, the mission of the Nicklaus Companies has been to enhance the golf experience, and to bring to the national and international consumer, golf-related businesses and services that mirror the high standards established in the career and life of Jack Nicklaus. In 2007, Jack Nicklaus partnered with Howard Milstein to help further the growth of the company and to realize the full potential of the brands and branded businesses. Howard Milstein is Chairman of New York Private Bank & Trust and is actively involved in the Nicklaus Companies serving as Co-Chairman along with Jack. Products and services include golf-course design, development of golf and real estate communities, and the marketing and licensing of golf products and services. Nicklaus-branded products have been marketed worldwide since 1962. The Jack Nicklaus and Golden Bear-branded lifestyle collection of products include:  restaurants; beverages; wine; home appliances; flooring; cabinets; apparel; footwear; and golf equipment. Schwan’s Global Supply Chain, Inc., is a subsidiary of The Schwan Food Company, a privately held, multibillion-dollar business. The various subsidiaries manufacture, market and sell fine frozen foods through home delivery, retail-grocery and foodservice channels. Its many popular brands include Red Baron®, Tony’s®, and Freschetta® pizza, Mrs. Smith’s® and Edwards® desserts and Schwan’s® fine frozen foods. Headquartered in Marshall, Minn., for more than 60 years, the company's subsidiaries employ about 14,000 people in the United States. To learn more about the subsidiaries of The Schwan Food Company, visit www.TheSchwanFoodCompany.com.